Will and his parents Brittany and Scott. Will was born at 1 pound 11 ounces at only 24 weeks. 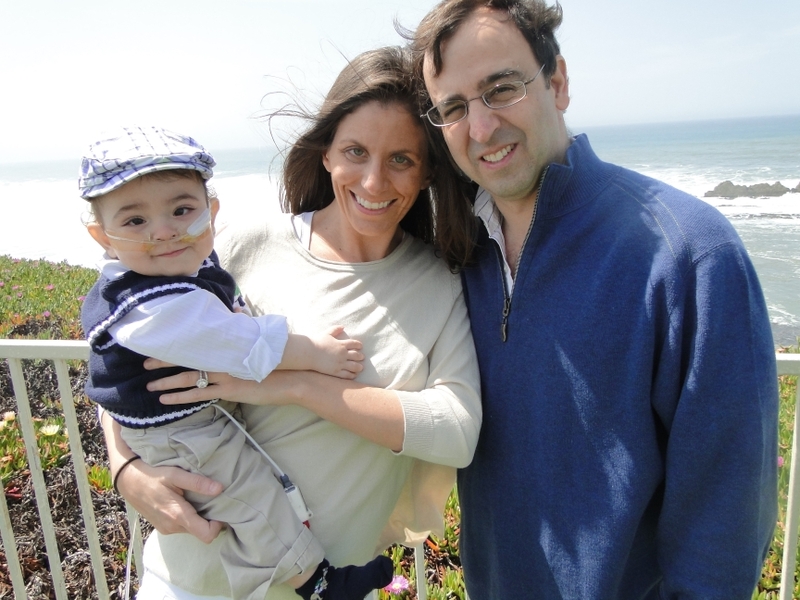 During the next five months his parents, Scott Bolick and Brittany Lothe spent every single day with him in the Lucile Packard Neonatal Intensive Care Unit. “We had the resources and were lucky to have the employers who allowed us to do that but so many parents that we met there did not. We wanted to do something to help,” says Brittany. With this mission in mind Will’s Way Foundation was founded. Brittany recently reached out to Dominican and as a result, a Family Support Fund was set up. Dominican Hospital has the only Level III Neonatal Intensive Care Unit in the county. Level III designation means the facility have the staff expertise and the equipment to provide the babies with continued life support, assisted ventilation, and advanced imaging interpretation on an urgent basis. Over 400 babies benefit from the services of the Unit annually, sometimes coming from as far as Watsonville and Monterey. “The families are so surprised and grateful when they find out about this program,” says Melissa Herceg, Social Worker. “We are so happy we are able to help in this way.” In 2015 over 70 families benefited from the program. You too can help. The Care Team at the Neonatal Intensive Care Unit accepts donations of gas cards, movie tickets, restaurant gift cards and cash donations for the Family Support Fund. Call the Dominican Hospital Foundation at 831.462.7712 for more information. To find out more about Will's Way Foundation, visit www.willswayfoundation.us.